What is Responsible for Smaller Shrimp Catches? This National Science Foundation sponsored interactive website gives a step-by-step explanation of the dead zone, including what it is and what causes it. 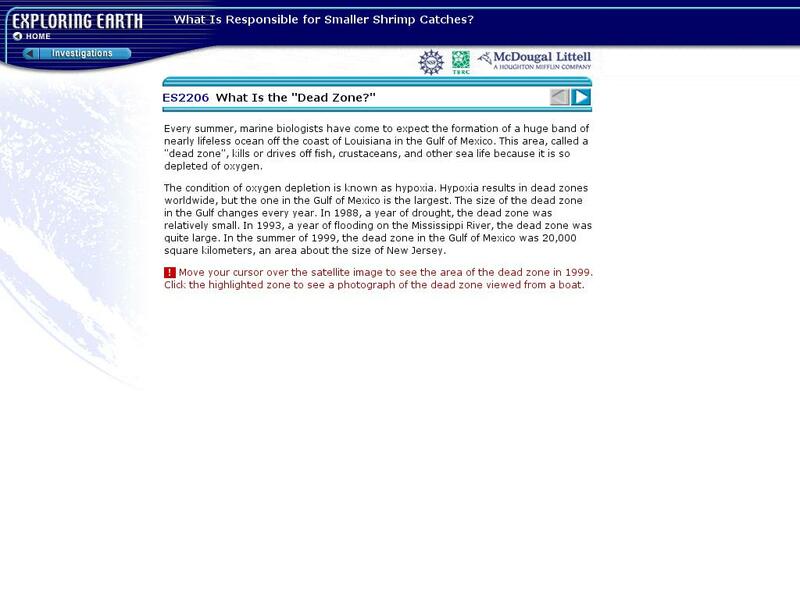 It offers pictures, interactive animations, charts, and figures to educate students about the dead zone and offers supplementary questions after each step to enhance understanding of the material.